If you know Patrol, you probably also know our friends at Humble Beast. Humble Beast is a passionate family of creatives, pastors, writers, theologians, and musicians who leverage their talents to see the gospel go out into the community and transform lives. Patrol’s had the honor of partnering with Humble Beast in the past, and it’s been a natural fit given our shared passion for using the gift of creativity to bless the church and reach out to the broader culture. So we’re excited to say that we’ll now be working closer than ever with Humble Beast. Patrol and Humble Beast will be sharing staff — Patrol’s CEO & Head of Design, Eleazar Ruiz, will become Creative Director for Humble Beast, and Humble Beast’s Director of Doctrine & Discipleship Ryan Lister will be theologically overseeing Patrol’s content. Plus, Patrol products are now available on the Humble Beast store. 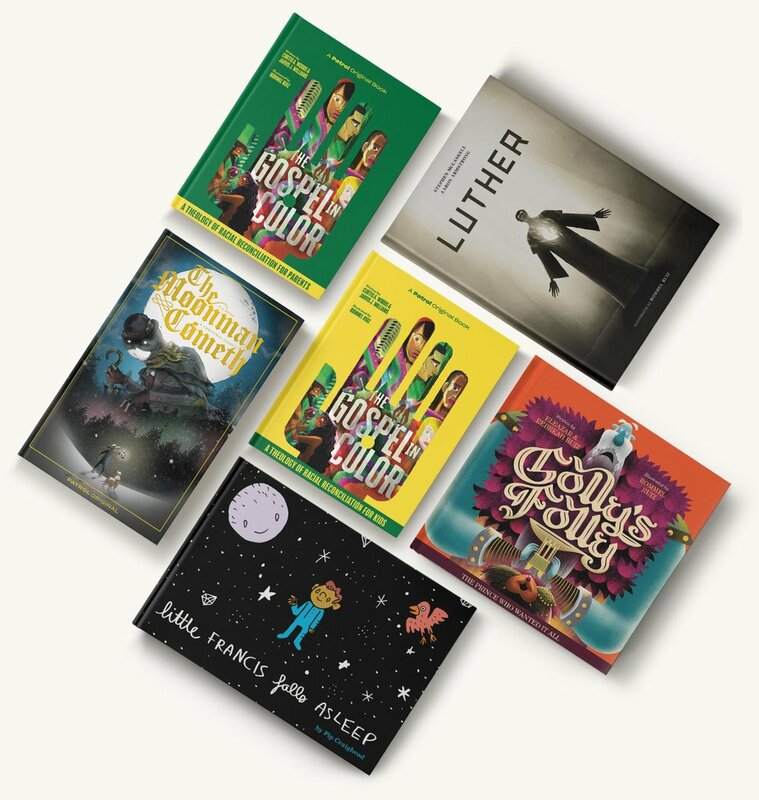 Patrol will continue to produce the gospel-centered, vibrantly illustrated fiction and non-fiction stories you expect from us, and Humble Beast provides us with a powerful creative partner in these endeavors. And beyond that, we’re excited to see what future collaborations will happen between Patrol and Humble Beast — so stay tuned. Watch below to learn more about Humble Beast. To celebrate this news, we're offering 20% off all Patrol books this week! Whether you buy them from the Humble Beast or Patrol store, just use the coupon code MoreThanMusic upon checkout to enjoy your discount.